The health and well-being of generations of children in south London is now firmly in the hands of Boris Johnson, after the majority of Liberal Democrat councillors on a Sutton Council development planning committee last night opted to wash their hands – like Pontius Pilate – of any responsibility for the Beddington Lane incinerator. In front of an audience of 200 unhappy local residents, after three hours of mainly impassioned arguments against the scheme, the proposal from Viridor to build an incinerator on a site on the boundary between Sutton and Croydon was granted planning permission by five Liberal Democrat votes to two Conservative votes against. Even as he voted in favour of the Viridor scheme, John Leach, the chairman of the meeting, made some extraordinary and contradictory comments. Leach urged the opponents of the incinerator – Tories from Sutton, Labour councillors from Croydon, Green activists from across south London – to put together as big a campaign as possible to get Boris Johnson, the Mayor of London, to use his powers to block the proposal, which could otherwise see Viridor burning waste at Beddington until the year 2040, in return for £1billion in public contracts. It did not take much reading between the lines that the LibDems had voted out of fear of a challenge to their planning decision. Rather than face the potential legal costs, last night they voted to pass the buck to City Hall. In favour: Mary Burstow (LibDem, Cheam ward), John Leach (LibDem, Beddington North); Stephen Fenwick (LibDem, Worcester Park); Monica Coleman (LibDem, Wallington South), Margaret Court (LibDem, Wandle Valley). Against: Graham Whitham (Con, Cheam), Eric Allen (Con, Nonsuch). Coleman and Court had both abstained at the previous meeting, held last month. Stanley Theed (LibDem, Wallington North), who had voted in favour previously, this time was not there. Fenwick voted against the Viridor scheme just three weeks ago. Last night, in the corridors of the civic centre after the decision, he was heard to say that the incinerator is no more dangerous than crossing the road. He didn’t mention what road: the six lanes of the M25, perhaps? The key message was that the local representatives felt powerless to stop the incinerator, and thus they should not be held culpable by their residents. Leach blamed Sutton Council’s predicament on the Tories for privatising Thames Water, who owned the land in Beddington Lane. The Tories claimed that they “were not for burning”, as they tried to echo one of Mrs Thatcher’s lines. The lengthy meeting had just one presentation in favour of the proposal: from Viridor themselves, who the chairman allowed to speak for far longer than the allotted four minutes given to the evening’s other speakers. The Conservative councillors from Croydon, who broke their election pledges to oppose the incinerator but now tamely deliver leaflets on behalf of the company, did not go to the trouble to attend the meeting, to hear the arguments against, nor to put forward their own reasons for supporting the scheme. Maybe they don’t have any. The extra high chimney, the committee was advised, would mean that the percentage deterioration in air quality would be 1.5 per cent worse in Croydon in comparison to just 0.8 per cent in lower air quality Beddington Lane: so it is firmly on the record that Sutton is allowing an incinerator that will pollute its neighbouring borough twice as much as it will be affected. Croydon Labour’s Paul Smith said that the aspiration should be to improve air quality. Croydon Greens’ Shasha Khan said that the scheme just got under the Mayor’s guidance for air pollution maxima. The committee established that there would be no sanction for waste lorries going off route and through local communities. Politics is done differently in Sutton. The atmosphere is much less confrontational than at Croydon Town Hall. There are weaknesses though too. The key planning officer showed no professional neutrality in his proselytisation of the merits of the scheme. He spoke using a flattering timespan of there being just 9.4 grams of pollutants emitted per second – but when expressed over 24 hours, this amounts to 812.16 kilograms, or nearly a tonne, of pollutants for us to breathe in. Daily. Viridor’s representative was allowed to be personally unpleasant about individual speakers against the scheme, an approach which betrayed a corporate arrogance expecting the passage of the planning application on this occasion. And Inside Croydon was the only local media outlet to get a mention in the meeting. 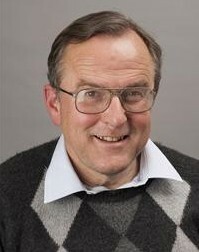 John Drage, a Sutton LibDem councillor, in speaking in favour of the scheme, was concerned about how his long friendship with Viridor’s CEO, Colin Drummond, had been reported, although this was clearly not a relevant planning matter beyond the potential influence that Drage might bring. The LibDems were pusillanimous in their whingeing that there was nothing that they could do to oppose the scheme as, in their mind, it would be against the law for them to vote down the scheme. It made you wonder what this said about whether voters should bother to vote in local elections if councillors feel they are so powerless. Tom Brake, the local MP was absent. The wife of Sutton and Cheam MP Paul Burstow, Mary Burstow, one of the councillors on the committee, sought a reassurance from Viridor that if the LibDem council turned down the scheme that Viridor would provide less mitigation on the scheme when they went to appeal. Mrs Burstow was earnestly looking to find ways to bind LibDem hands on the decision such that they could tell their voters that they had no discretion to vote against the proposal. Maybe she picked this up from her husband, a former junior minister in the health department who now campaigns against closures at St Helier Hospital, closures being brought in by the department in which he worked so recently for the ConDem government. The cavilling and slipperiness of the LibDems was a spectacle to behold and another strong case for those so disillusioned with politicians that they now vote for those outside the main three political parties. Viridor gave a guarantee that the facility will be safe. Meanwhile, I understand that the editor of Inside Croydon is tonight boarding a flight to North Korea, where he intends to purchase a suitcase-full of plutonium which, in due course on his return from Pyonyang, he intends to dump in his household waste bin in the knowledge that Viridor will stick it into their incinerator’s furnace without any check of the contents. We have been told that no checks are to be made at the plant on what arrives to be burned in the incinerator. That’ll save Viridor a few bob. Checking that waste materials are safe to be burned is being left to the residents of Kingston, Merton, Sutton and Croydon, and anywhere else across south-east England where they will be shipping their crap across south London for burning at Beddington Lane. But Viridor give a guarantee that the facility will be safe. This entry was posted in Andrew Pelling, Boris Johnson, Business, Croydon Greens, Environment, Health, London-wide issues, Mayor of London, Outside Croydon, Paul Burstow MP, Planning, Simon Hoar, St Helier Hospital, Sutton Council, Tom Brake MP, Waste incinerator and tagged Boris Johnson, LibDem, Liberal Democrats, London, Paul Burstow, Sutton, Viridor, Worcester Park. Bookmark the permalink. Eurgh! How can, at a committee meeting about granting the approval of the incinerator, only have one proposal in favour (by the company wanting to build it in the first place) and STILL get granted permission? How can the council members sit in front of 200 residents who DON’T want the incinerator, APPROVE the scheme and then claim to act on behalf of their respective residents? And who thinks Boris is going to step in and stop it? I can’t believe the spineless-ness here. It stinks of cowardice. Andrew has summed up the meeting well. It’s little wonder that many people have become disillusioned with politicians from all the main parties. Tory and Labour opposition councillors put up good arguments last night, but we shouldn’t forget the incinerator is backed by Tory Croydon and Labour Merton as well as LibDem Sutton. Mary Burstow argued that, if Sutton turned the planning application down and Viridor appealed, there is a prospect that the “mitigations” (ie sweeteners) offered by the company would be withdrawn. On this logic councils would never reject an application. I thought LibDem councillor Stephen Fenwick was especially pathetic last night. Only three weeks ago he argued that the committee should listen to the people. Last night he was reduced to arguing that mankind has always burned rubbish, and therefore the council couldn’t stop the incinerator. 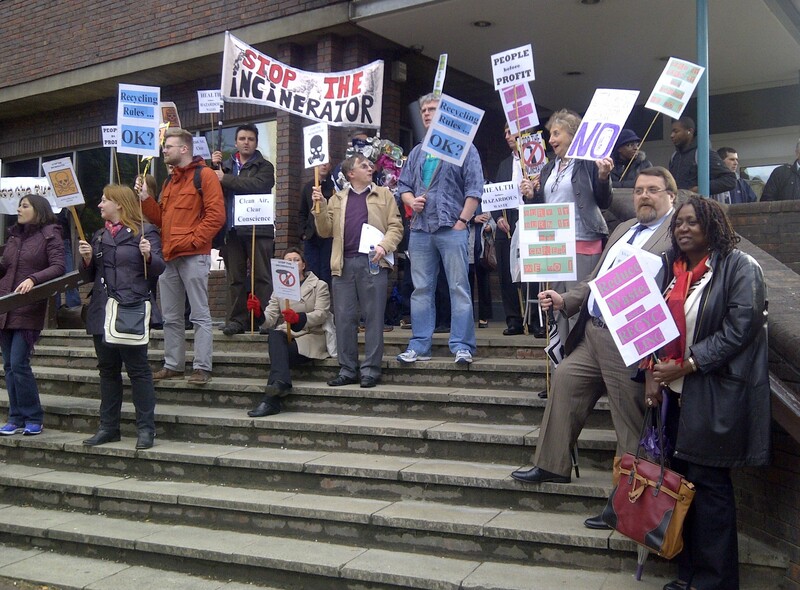 Full marks to those who have campaigned tirelessly against the incinerator. You have won the arguments. Unfortunately the lions of the general public of south-west London are led by donkeys in charge of the local councils. As a relative newcomer to all this, I was wondering where this all came from in the first place? Were Croydon/Sutton looking for ways to make use of the Beddington Lane site? Did Viridor approach them to propose a deal? Or was it SLWP that decided they needed another plant of some sort? Was there ever a stage at which other technologies (such as Jason Grant’s, as reported by Inside Croydon last month) were considered? I have read the campaign website but am just trying to get the narrative straight in my head. It seems like this has always been a straight yes/no decision, the details being largely irrelevant. In an ideal world, Beddington could be pioneering (in the UK) new waste/energy technology — as it is, pragmatically it could be argued that at least a few jobs will be created out of this. But ultimately it’s a win for commercial interests over local democracy, as usual. I only hope that the health and traffic impacts aren’t as bad as feared. As far as I’m concerned this is yet another argument in favour of a single south London sub-regional council to oversee major initiatives. The boroughs can deal with garage conversions and dog fouling, but when it comes to bigger questions – like town centres and incinerators – they have neither the expertise nor the courage to represent anyone. Think of the money we could save: a single economic development directorate across the patch, with borough planning departments slashed to a shadow of their present selves. If Boris does question the Viridor proposals he could strengthen considerably his argument that the balance between the powers of the Greater London Authority and those of the London Boroughs need significant redressing in favour of the regional tier.